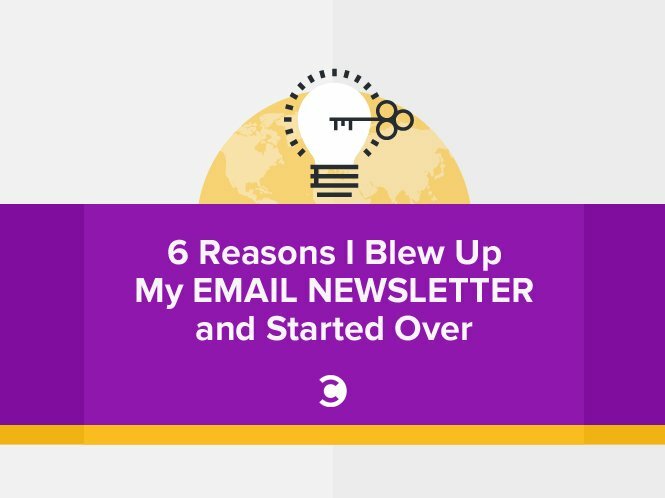 Email has been a big part of Convince & Convert since we started in 2008. 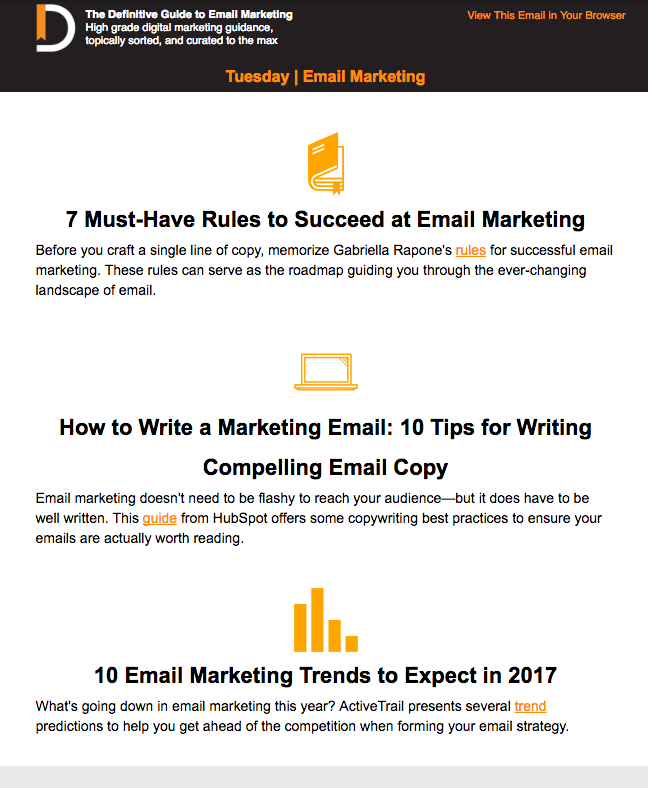 Our ONE THING email newsletter was among the first curated emails to focus on social media and content marketing, bringing readers hot news and insights. A couple years ago, we killed ONE THING and spun up DEFINITIVE, a daily email that goes deep on one topic of interest to marketers (B2B Snapchat ideas, for example) and showcases the 3 best resources about that topic from anywhere on the Web. Now, we have put DEFINITIVE to bed, and launched Convince & Convert ON, a totally new email experience. The reader survey we conducted last year very clearly showed that Convince & Convert fans are experienced marketing and customer service professionals. Most are managers, directors, and VPs, and three-quarters of our audience have been in the business for over six years. The new Convince & Convert ON email embraces these findings by delivering 301/401-level advice and insights and adheres to our editorial mission, which is to provide “and therefore” content to our audience. We don’t want to tell you what’s happening, as other people do a great job of covering news and trends. We don’t even want to tell you why it’s happening. Our role is to tell you what to do now that it has happened. That’s “and therefore” and the new email is all about it. Video consumption continues to soar, especially short-form, explanatory video. 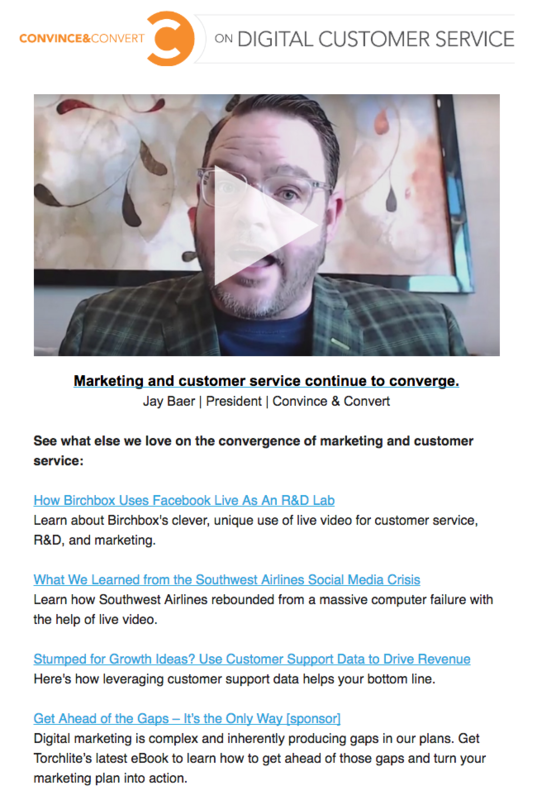 In fact, I wrote a post recently called “Why Video Is the New Blogging.” We create quite a bit of video at Convince & Convert, including my Jay Today series. We decided to integrate video with email in a new way, to help narrate “and therefore” for the audience. Each issue of Convince & Convert ON includes a video about three minutes long that covers a key move in the industry, and what you need to do next. We’re really excited about this feature, and I hope you are too. Feedback is welcomed! Videos don’t auto-play in the email yet, but we’ll be exploring that in the future. We have two divisions here: Convince & Convert Consulting, which provides social, content, amplification, and influencer strategy to some of the world’s most interesting brands. And Convince & Convert Media, which produces this site, our network of podcasts, the email program, and a ton of other stuff (including producing podcasts from several major companies). The two groups have functioned mostly independently, and that’s probably less than ideal. With the new Convince & Convert ON, our strategy team takes turns identifying the trend, curating the related resources, and shooting the overarching video. We have some of the brightest minds in the business on our team, and I finally figured out a way to insert their thinking into the Media side of the house. DEFINITIVE has been a four times per week email for two years. Our research shows it’s just too much. Nobody says, “Gee, I wish I could get more email!” So, we’re scaling it way back to one to two emails per week. We’re also doing a lot of list hygiene, removing people that don’t open the emails, etc. As I wrote recently, the right time to publish in social media is when you have something worth publishing, and the same is true in email (perhaps even more so). This reduced cadence will reduce subscriber fatigue. I want you to be fired up when ON hits your inbox. DEFINITIVE had a defined aesthetic, but it wasn’t always the easiest to read, especially in mobile. Also, our significant use of orange (our signature color) is not the most friendly option for visually impaired subscribers. We have totally overhauled the look and feel of ON, making it a lot simpler and more streamlined. I’m proud of what we did in DEFINITIVE. The resources we provided were on-target and useful. But, DEFINITIVE lacked a personal touch. Convince & Convert created and produced DEFINITIVE. With ON, we are moving to a real person at Convince & Convert telling you what they think, and why it’s important for you and your business. In my books Youtility and Hug Your Haters I wrote extensively about the power of humans to build trust bridges. Simply, we trust people WAY MORE than we trust organizations of any type. Yet, I foolishly neglected to follow this advice in my own email program. With ON, we are showcasing our people, not just our company. We don’t want to be the biggest, we want to be the most trusted. In a world where you’re not sure what’s true and what’s useful, trust is currency. This is why I blew up our entire email program, and started over with a focus on “and therefore” and building human-level connections between you, and our team. And thank YOU, for your trust and attention. It means the world to me, and I don’t take it for granted.